After getting the newsletter out yesterday, I finally have a moment to breathe. The “Revolutionary Rug Braider” newsletter takes a lot of time to pull together. Part of the problem is that I enjoy myself too much — during the “teaching table” section, for example, I try to figure out solutions for problems that I have run into. I spent a good bit of time figuring out how it is that one can lace over a blunt ending neatly and have it be consistent in loop count with the rest of the rug. Since I’ve done it both well and badly, I had to figure out what went wrong and how to fix it — then how to draw it. After all the experimentation, trial and error, it ended up being only one illustration in the whole newsletter. But… now I know. I first met Dianne Tobias in 2006 at a braid conference out in Washington. Both of us were novice braiders although I think she was a bit more experienced than I was. She struck me as pretty, poised, and confident. I found out she was a consulting pharmacist, and we talked about our experiences in health professions, and then I moved to another table in the back. Dianne remembers that she thought I snubbed her, so she was surprised when I invited her to join me at a braid in at Cape Elizabeth, Maine in… 2007? And we’ve been friends since: often rooming together at braid ins, and going on wool-hunting expeditions together. 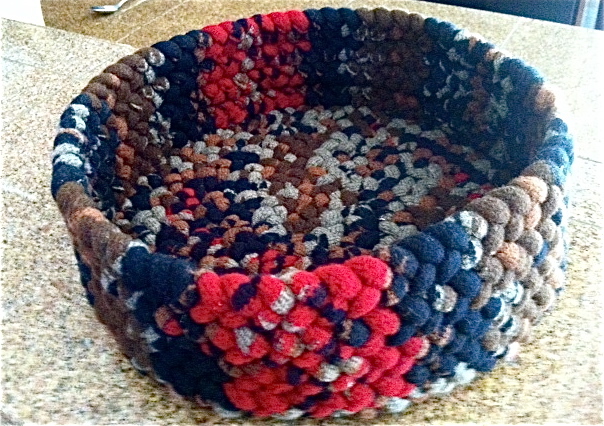 Dianne inherited several large oval and round braided rugs – handmade but probably not made by her family. 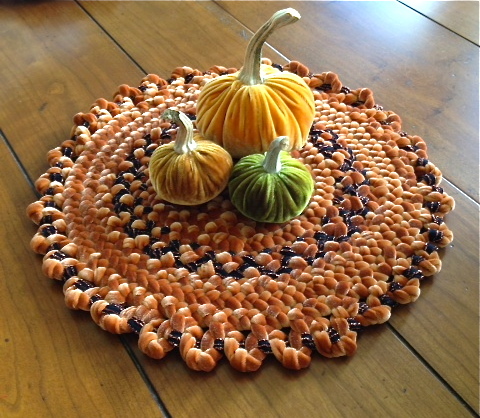 When they began to show wear, Dianne’s husband challenged her to learn how to make new braided rugs. Dianne looked for classes, but – living in northern California – there weren’t any. She bought a kit from Braid Aid just as they were going out of business and made her first rug, but… it turned out pretty terrible. A business trip out to the East Coast and a Google search led Dianne to Loretta Zvarick. She spent a few hours watching Loretta braid, bought some wool, and Loretta got her started on braiding. 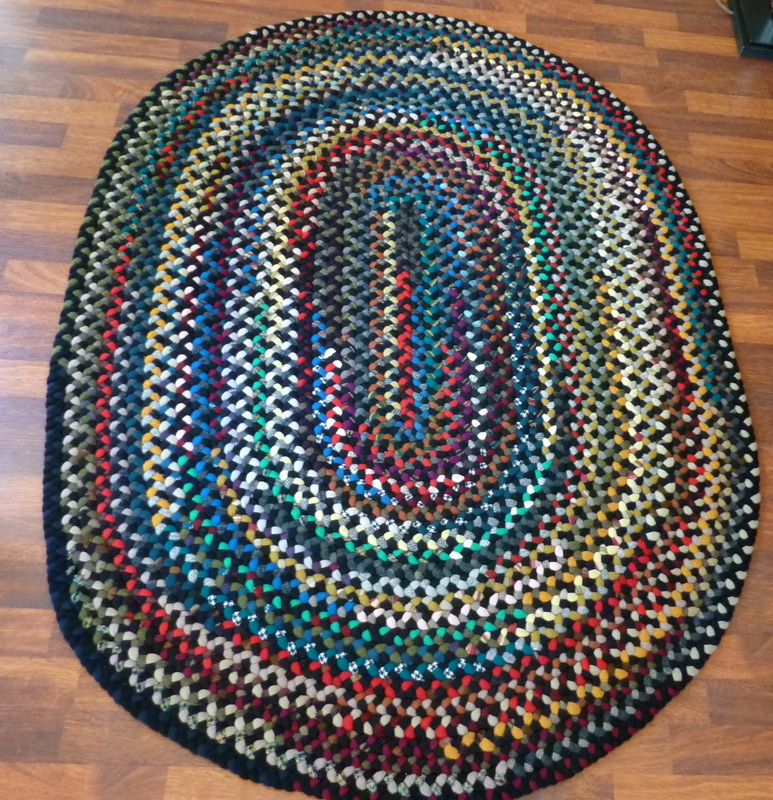 She had already completed several rugs by the time I met her at the braid conference in Washington State. A couple braid ins later, we met Kris McDermet, who talked to us about writing a book. 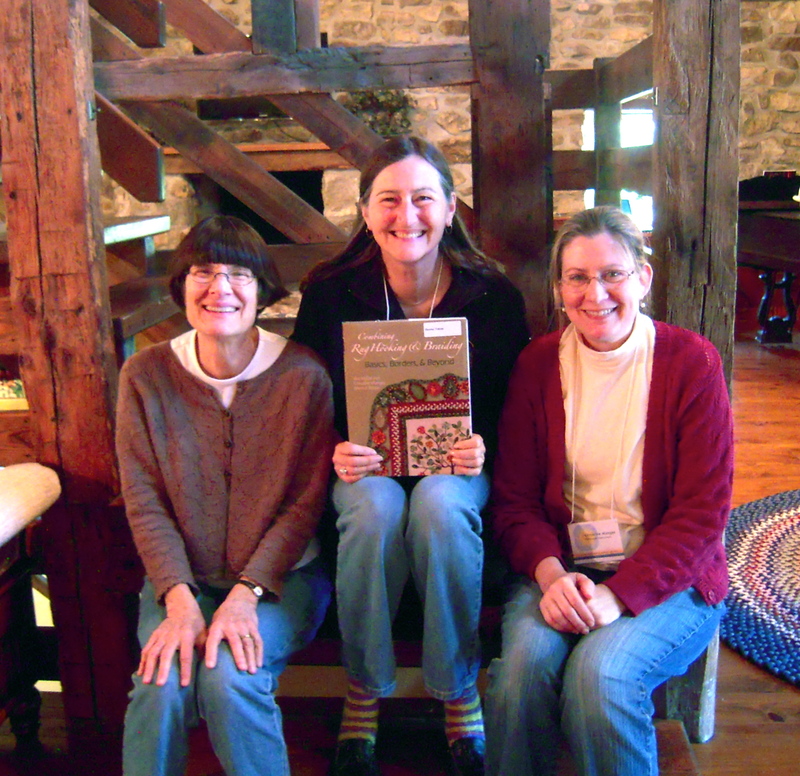 The next 2 years (at least) we spent making projects, editing each other’s chapters, and collaborating on the book Combining Rug Hooking and Braiding: Basics, Borders, and Beyond (2011). Kris specialized in the combination of rug hooking and braiding, and at the beginning of our book adventure, Dianne and I were just braiders. Dianne organized and cajoled us into getting our projects and chapters for the book done. She took on the specific areas of “tiny braids” and “off the floor” projects (braided totes, baskets, handbags) for the book. While I have remained only a braider, Dianne has moved on to become skilled at braiding, rug hooking, and also in combining braiding and hooking. 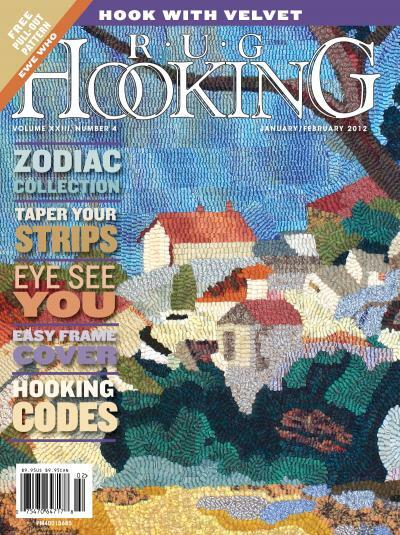 Dianne advanced her hooking skills enough to write an article for Rug Hooking Magazine on, “Hooking with Velvet” (Jan/Feb, 2012). She co-authored 2 chapters (with Kris McDermet, and myself) for the book, Finishing Hooked Rugs: Favorite Techniques from the Experts (2013). Dianne has also written articles for this newsletter: on hit or miss rugs, braiding with velvet, and on having an Etsy site for selling handmade items. 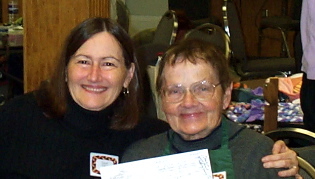 Dianne has taught classes on both braiding and hooking at various sites. She taught a class at the ATHA (Association of Traditional Hooking Artists) Conference in 2013 and will also teach at the 2015 ATHA Conference in San Antonio, TX, where she will be assisting Kris McDermet with, “After the Hooking Comes the Braiding” — a class on attaching braids to hooking. 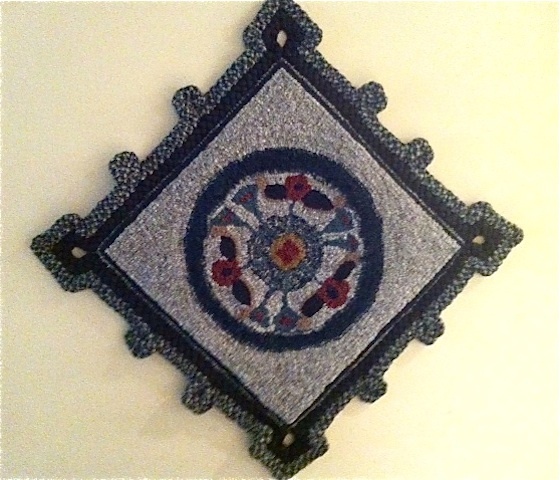 She will co-teach at TIGHR (International Traditional Rug Hooking Group): 2015 in British Columbia, Canada: a demo and workshop on Braiding and Braiding around Hooking. She will teach “Braiding around Hooking” at the John C. Campbell Folk Art School in Brasstown, North Carolina, July 26-31, 2015. If all that isn’t enough, Dianne also teaches at braid ins and locally at the Davis Art Center. 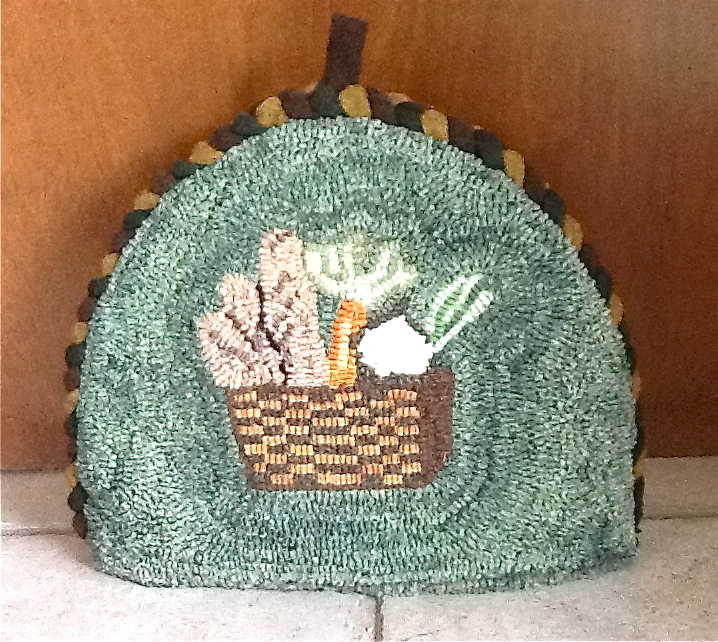 Dianne collaborated with noted rug hooking artist & instructor Gene Shepherd on creating a hooked/braided tea cozy kit: www.geneshepherd store.com/Gene_Store/ Patterns_Kits.html. 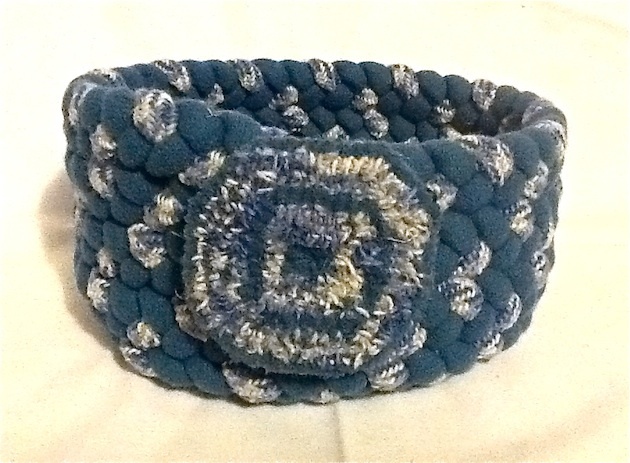 One of Dianne’s own designs for a tea cozy is shown left, with a braid anchoring the front and back together. Dianne’s work was exhibited in Gallery 625 of Woodland, California in March of 2014. 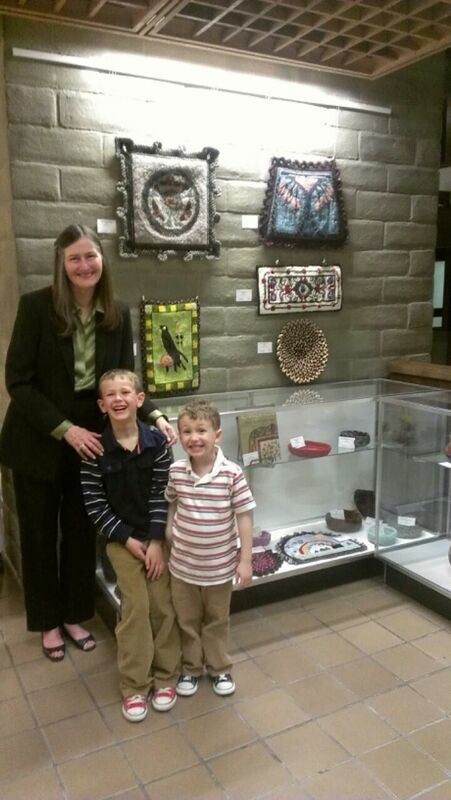 Here is a photo of her with her grandsons at the exhibit (above right) with some of her work displayed in the background. While becoming a hooking artist, Dianne has retained her interest in braiding. Here are some of her ventures: a hit or miss (below), a braided velvet piece with a fancy border, and a braided basket with aligned plaids, giving the basket a vertical stripe effect. Dianne is the consummate fiber artist: she delights in sock knitting, braiding, hooking, sewing, and just about any form of needlework. She enjoys hunting for wool scraps at Pendleton outlets, and has added velvet to her “hunt list” since she has done so much hooking and braiding with velvet. She sent away for nylon seconds and has been experimenting with dyeing, hooking, and braiding nylon. Her mind never stops seeking out new fiber adventures. Dianne has the distinction of being one of those people who is nice… but not too nice. Some people are so nice that they won’t tell you if you are screwing up or have offended them in some way, and so you’re left with the vague feeling that something is wrong but they’re too nice to let you know what the problem is. Dianne does not have that flaw! I was scanning back through Dianne’s emails for a few photos and I came across several sent to me entitled “gentle reminder” or “please edit” or “need favor” and had to laugh. If Dianne thinks you are falling behind in your work or are being ridiculous and unfair about something, this information will be gently — but clearly — communicated. And yes, I appreciate and admire this trait. 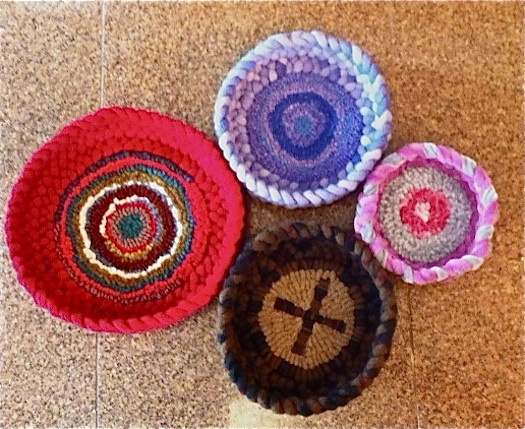 Left: Dianne’s braided bowls with hooked centers. 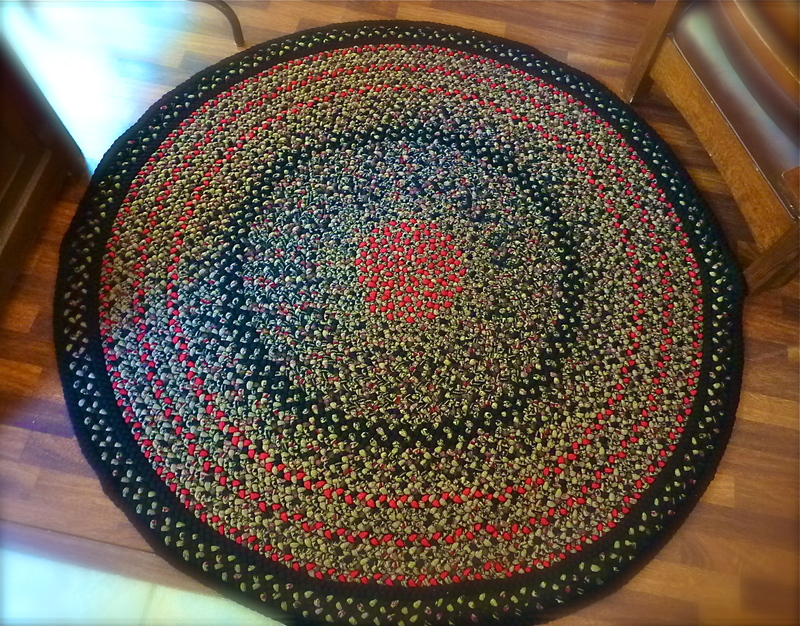 Below: a large round braided rug that Dianne made. I never quite know what to expect from Dianne next, but whatever it is, she will quickly come up with something creative, amusing, and innovative, and she will be very organized about doing it! Dianne braided this bowl and attached a hooked piece as a decorative flower. 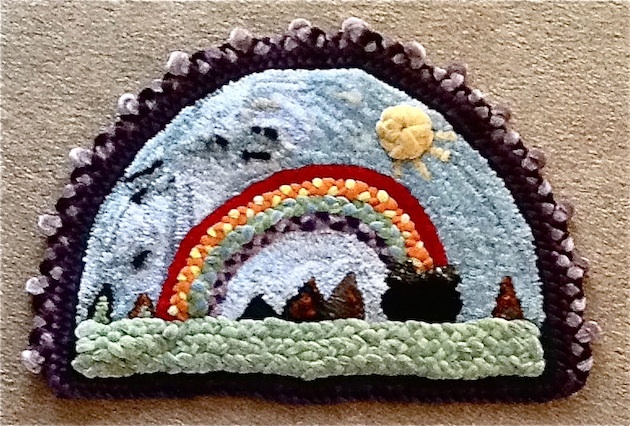 Dianne’s entry for the “Skies/Weather/Sunset” challenge: a braided rainbow over a hooked pot of gold and sky, and a braided border with knots. Dianne designed this hooked center (below)and attached fancy braids to emphasize the square shape.